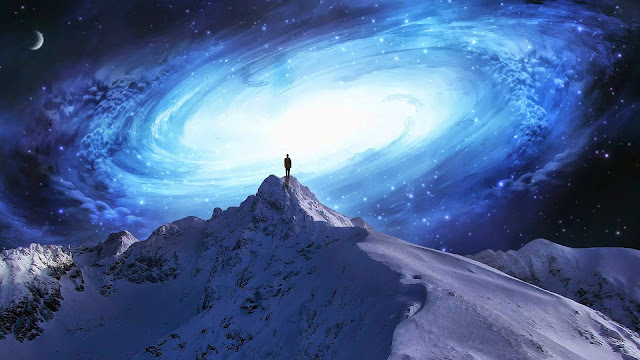 More people than ever are starting to embrace spirituality and seek to raise their awareness and consciousness levels to go through what is commonly referred to as a spiritual awakening. There are many symptoms associated with a spiritual wakening, including the following 18 signs. Changes in your sleep patterns, including difficulties falling asleep, waking up more than usual during the night, feeling hotter or colder than usual and general restlessness may be a sign of spiritual awakening. Emotional changes are common, including feeling like you are sometimes riding an emotional roller coaster. Also, you may feel that you are sometimes incapable of controlling your emotions, and they may surprise you. Your senses may become heightened, or feel different to how they did before. You may see shapes and patterns when your eyes are closed, bright flashes of light, and may begin to notice more in your peripheral vision. You may be able to see faint auras around people, animals, plants and inanimate objects. You may hear sounds that are new to you and you may start to notice smells that other people cannot. Physical symptoms, such as headaches, cramps, neck pains, muscle aches and other aches and pains may occur with greater frequency. Your dreams may start to contain messages, and also seem more real and vivid. Pay close attention to your dreams, and make a note of them as soon as you wake up. Likes and dislikes may change. This can include your food preferences, tastes in music, art, literature and free time activities, hobbies and leisure pursuits. You may seek out more creative activities, and find that you are receiving creative ideas more than before. You might feel that you really want now, more than ever, to understand the greater meaning of life, your purpose, and the connection between you and the world around you. You might develop new interests in working with runes, tarot cards, crystals or other tools to aid psychic progression. You may start to receive communications from spirits, angels or other non-earthly beings. You will likely find you have a deep feeling that you must start to live a more honest existence and speak what you feel is the truth. You could develop new healing skills that you were never previously aware of. It is likely that you will have greater levels of intuition, and feel a deeper awareness of what is happening in the world. Some people find that they withdraw from old relationships, whereas others find that their bonds strengthen. A change in close relationships though is a sign of spiritual awakening. Being able to see messages all around you, in numbers, letters, actions, spoken words and symbols, could suggest that your awareness is increasing. Drastic and sudden life changes, including a change in relationship, house move or a career swap are common when a person is going through a spiritual awakening. People may appear at the right time and place to answer questions that you have and guide you on your spiritual path. The amount of energy you have may feel different from day to day, with no apparent explanation. Additionally, apathy and a reluctance to do anything that previously would have brought you pleasure is common. You may experience a sense that time is speeding up. A sense of wanting to find your home, and then go there, can sometimes be hard to ignore. You may also notice strange feelings of loneliness and isolation, even when you are surrounded by people.